The first summer month happened to be very hot in all respects. 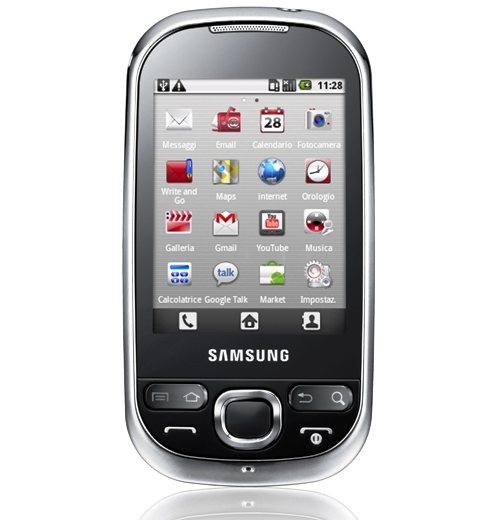 Every manufacturer tried to show the maximum number of new models with Samsung leading the pack. The US market received several key models and their European counterparts will be launched soon. We do not have so many announcements every month. Much of it is owed to CommunicAsia. The price for European models is given in Euros, US models are priced in USD, while the handsets for the Russian market have prices in Rubles. There is no point in converting the prices as they depend on particular markets. The price in Euro is shown for the European markets, for the US market it is usually safe to use the same number in dollars, but, of course, prices may differ, sometimes drastically. Bestseller – the model that excels in various ways (it could be the price, not necessarily specifications or features). Models marked as Bestsellers deserve a lot of your attention. Player – notable devices typical for their class. These are mass market products that make up the bulk of sales in particular market segments. Contender – phones in this category did not grow up to be a Player, but have a number of attractive traits (cost, for example, but cost could also be a negative factor, turning a Player into a Contender), they can lack many of the functions standard for this or that class. As a rule, devices made by the 2nd and 3rd echelon manufacturers end up here as well as overpriced phones from the main market players. Technologies for Technologies Sake – niche products interesting thanks to their technological solutions, but not designed for a mass audience. Nokia 7710 is a good example. Judging by capabilities the phone is interesting, but its size and the speed are overweighing its pros and make it a niche solution. Not for Everyone – also niche solutions that are different thanks to design or unique, but not necessary functions. Intended for a small group of customers who buys such things as means of self expression. Mainstream Product – phones aimed at everybody and nobody in particular. No bright traits, majority of phones on the market. Outsider – phones that, contradicting any sense, get to the market and do not attract customers one iota. Dead products not showing any sales numbers. MTC carrier announced the sales of MTC 535 in retail outlets of the company. According to MTC the phone offers optimal features at the attractive price. MTC 535 is not locked and can work in any network. It gets a three year guarantee: one year for all owners and additional two for MTC subscribers. 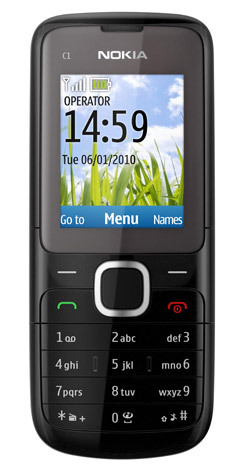 MTC 535 was developed by the Chinese mobile devices manufacturer ZTE. The retail price with one of MTC tariff plans – "Mnogo Zvonkov +" [Many Calls +],"Dlinnye Razgovory" [Long Talks] or "Red Energy" is RUR 1990. Purchased contract free the model fetches RUR 2490. Updated iPhone is offered with new design. Smooth lines made way for clear corners, the front, back and the sides feature metal. The camera was improved and now it can record video. FaceTime is the video connection channeled not through the carrier network (which services the call only), but a cheaper link. In other words, the handset is successful. The sales break new records and there is a considerable deficit. There are some technical issues (antenna does not perform well in some situations), but the model is attractive. It will remain the bestseller during several months in the majority of countries. Sensors: 3-axis gyroscope, accelerometer, proximity sensor and light sensor. Judging by its characteristics we have an accessible midrange Android smartphone. It surpasses Acer E110, but is simpler than Liquid, let alone Stream. 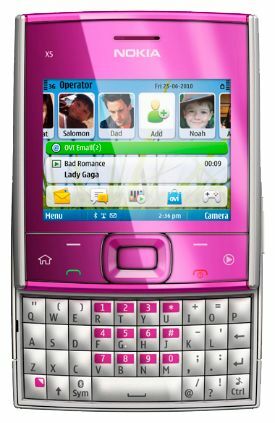 One more affordable smartphone, but in Blackberry style, which features full size QWERTY keypad under the screen. 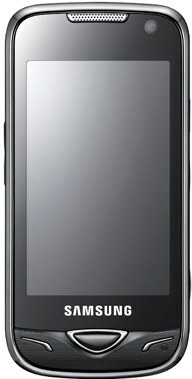 HTC unveiled one more Android smartphone – HTC Aria, which will be exclusively offered by AT&T. The sales of the model under Android 2.1 are planned for June 20 at the price of $129.99 with 2 year subscription. 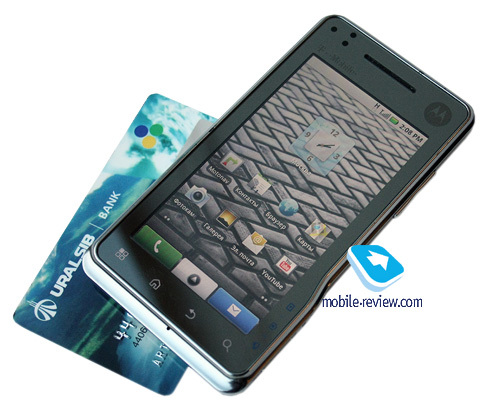 Budget phone with two SIM cards operation support. Interfaces: USB 2.0, Bluetooth v2.0. 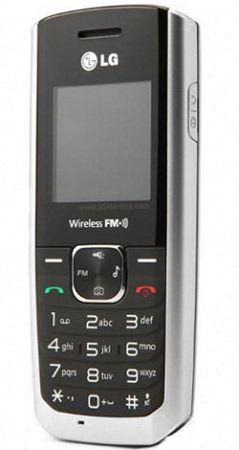 The phone has 1.5" screen with 128 х128 resolution, a separate key for the most important (according to the manufacturer) features – radio, which can work without the headset, camera, MP3 player and flashlight. In GS155 LG emphasizes loud and high quality sound, MP3 player, micro SD cards support of up to 2 GB and long standby time (up to 600 hours) and talk time (up to 6 hours). Fake Call feature simulates the incoming call when you need an excuse to leave the meeting. Motorola joined forces with Adobe and Verizon Wireless to offer its new Android smartphone – DROID X. It boast a huge 4.3" touchscreen and is labeled a "home cinema in a pocket" by the manufacturer due to 1 GHz processor, DNLNA support, HD (720р) video recording courtesy of a built-in 8 MP camera, which can be viewed on HDTV. The model will hit the shelves with Android 2.1 and could be upgraded to 2.2 this summer, when the users will get access to Adobe Flash Player 10.1 among other things. 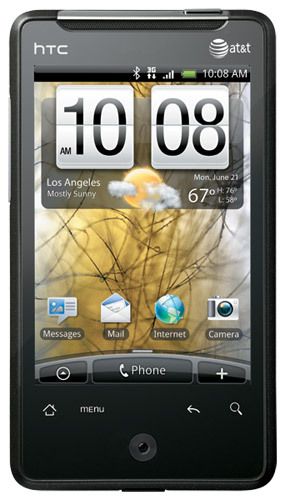 Motorola DROID X will be offered by Verizon Wireless from mid July at $199.99 with 2 year subscription. Android smartphone MOTOROI was launched sometime ago in South Korea and instantly became very popular there. The model was for South Korea only and could not be officially bought in Europe or the USA. Then followed a rumor that Motorola planned to market it in the UK. 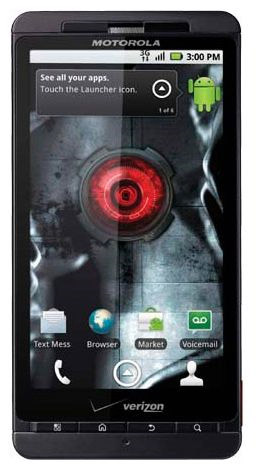 It was confirmed today when Motorola Milestone XT720 (MOTOROI in Korea) was launched in Europe. 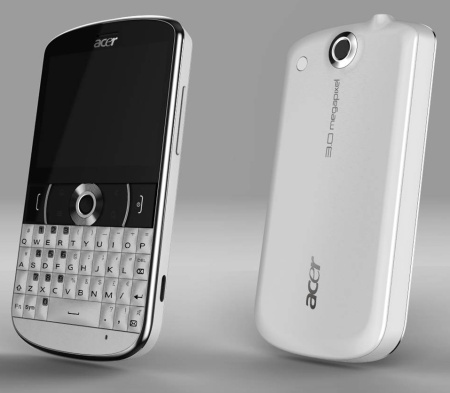 At the time of release it was the most photo oriented Android smartphone with an 8 MP camera and xenon flash. It can record video with the resolution of up to 720р. The model will be released under Android 2.1 and there is no information about the upgrade to 2.2. The phone is a carbon copy of MOTOROI with 3.7 " capacitive touchscreen and 480х854 pixels resolution, HDMI-out, a 3.5 mm audio jack and other features. Motorola officially unveiled Motorola FlipOut smartphone, which had already made a stir. 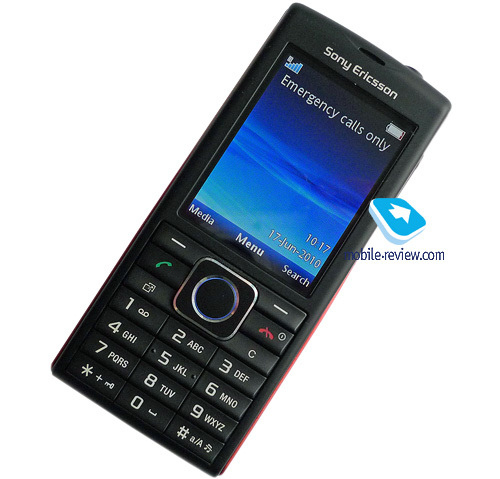 Its main feature is an original form factor of rectangle rotator with touchscreen and QWERTY keypad. Motorola FlipOut runs under Android 2.1 MotoBlur interface. 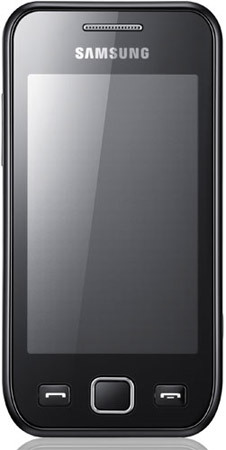 2.8" touchscreen, a 3 MP camera with Kodak Perfect Touch (picture quality boost), electronic compass and CrystalTalk PLUS support for high quality sound are worth mentioning. Motorola FlipOut will be sold in seven colors: white, green, red, crimson, dark blue, black (liquorice) and yellow orange (saffron). Another variant of Nokia X6 with the memory reduced to 8 GB, two body colors – black and blue, but inside the model remains the same. Its European price is appropriate, while in Russia it is too different and strips it of any advantage against the rivals. It facilitates Nokia X6 16 GB sales, but is not a winning solution. To some extent Nokia X5-01 follows designer ("rectangle") solutions of Nokia 7705 Twist. The handset looked nice in the photos, but in real life the plastic is cheap and does not attract attention. Due to its price this S60 smartphone offers good value. 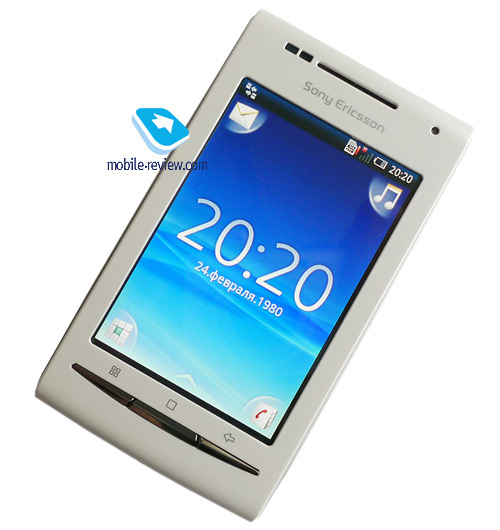 The model is peculiar and will not attract much attention as in the past similar phones were not in demand. Simultaneous support of several mail accounts: Yahoo! Mail, Gmail, Windows Live Hotmail, Ovi Mail. Nokia unveiled 5228 music model in Germany. It is impossible to find the difference from 5230 on the outside, but if you look inside you will find something new. Nokia 5228 is a copy of 5230 without the GPS module. To make it simple and cheaper the manufacturer decided to do away with 3G. Nokia has already announced such a phone, which was labeled Nokia 5233. If not to pay attention to the absence of GPS and 3G you will not find any hardware or software difference between 5228 and 5230. New Symbian smartphone also has a 3.2" resistance touchscreen with 360 x 640 pixels resolution and a 2 MP camera with fixed autofocus and video recording support. Video recording is a bit different as well: 5230 provides the maximum resolution of 640х480 and 30 fps speed, while Nokia 5228 offers a more rare nHD (640 x 360 resolution and 30 fps speed) format. 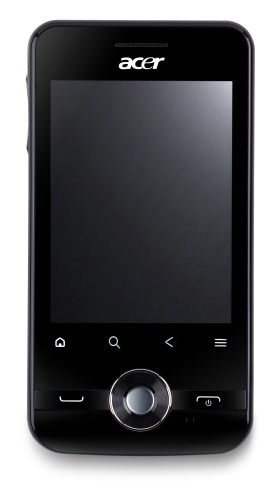 Nokia 5228 runs under Symbian OS v9.4 (Series 60 rel. 5) and offers data transfer via EDGE, Bluetooth 2.0 and standard microUSB and a 3.5 mm audio jack. Built-in memory is 70 MB, expandable by microSD cards up of to 16 GB. 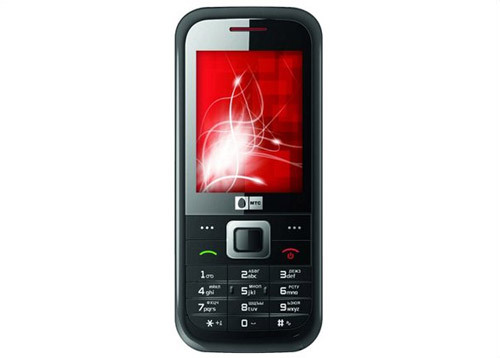 The battery is similar to that of Nokia 5230 and gives 7 hours of talk time or 18 days in standby mode. Nokia 5228 will be offered in several colors. In all circumstances, the front panel can be black or white, while the back panel is painted red, pink, blue, yellow, silver or dark grey. 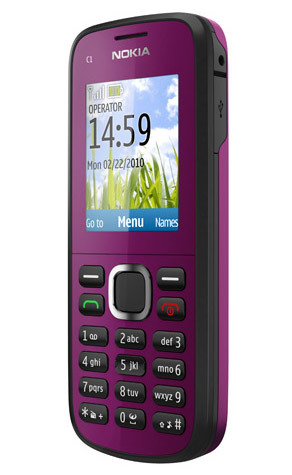 The model supports two SIM cards but only one of them can be working at a time. Quite a strange solution, it won't be available in Europe but only for developing markets. Taking into account the fact that Nokia has similar devices with lower prices, one can't consider this one in demand. It is a budget model based on the S40 platform, which has standard characteristics for its class, nothing special there. 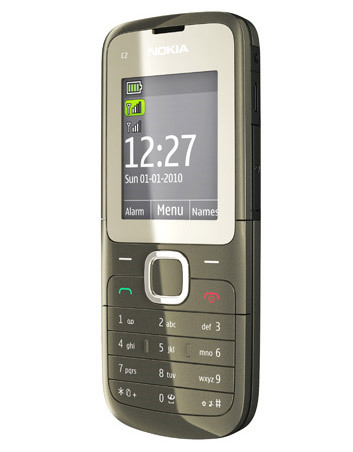 It is an inexpensive model with a 3.5-mm audio jack, color screen and Nokia logo, which will ensure the sales. It is an interesting solution for the mass market. It is Nokia's first model that can work with two SIM cards simultaneously. The device will be available on select developing markets. Taking into account the steep competition in the segment due to the presence of Chinese manufacturers, the sales don't look very promising. It is a top model in the DUOS lineup, again, a fully touch-sensitive phone, which is not bad. There are no similar models from other manufacturers, but on the other hand, the demand for such solutions is relatively low. Although a serious player in the dual SIM league, it is a niche model for the whole market, hence the rating "not for everyone." 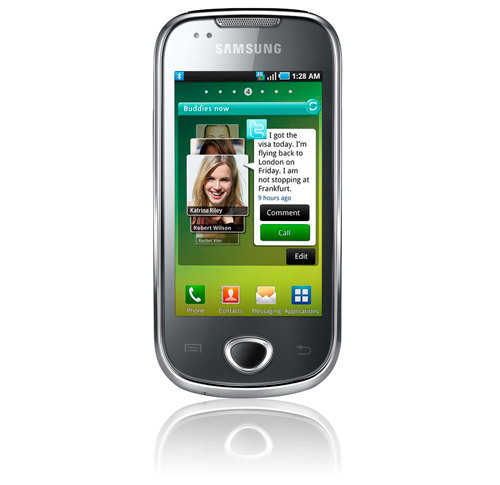 The Samsung B7722 supports HSDPA 3G networks and can also connect to the Interment via built-in Wi-Fi. The model is equipped with a 3.2-inch touch-sensitive screen that has a WQVGA resolution, 5-megapixel camera, Wi-Fi and Bluetooth, FM radio and a microSD card slot. 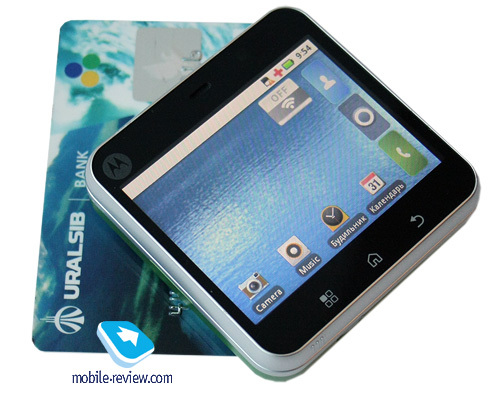 The device can work with two SIM cards simultaneously yet only one of them can be connected to the 3G network (UMTS 2100 MHz). Meanwhile, quad-band GSM connectivity is allowed for the other one. The Samsung B7722 is supposed to have the TouchWiz 2 Plus shell. 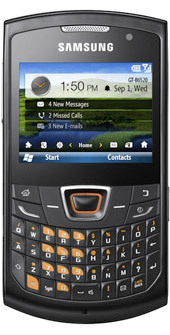 The only difference between the Wave 2 and Wave 2 Pro is a slide-out QWERTY keypad in the latter. Therefore, there's no need to distinguish between the models; technically, they are the same. Both sport the TouchWiz 3 interface and Bada platform. On the downside, the screen is not Super AMOLED, just casual 3.2-inch TFT, and the resolution is mere WQVGA. That is the models' biggest downside. The camera is a 3-megapixel one and there is inbuilt Wi-Fi b/g/n there. Are those successful models or not? I think, they will have decent sales but won't cause a market sensation. The reasons to that are the screen and the fact that Bada is not well known yet. The segment is dominated by Android phones; they are the priority for all manufacturers, including Samsung. Hence the sales will be moderate yet on the whole significant for the market. It is a device for the youth, with the design resembling that of the Corby. The reasonable price for an Android phone should make it attractive. Yet the rest of the characteristics are casual, the model can't stand out of the crowd. It is a more powerful version of the inexpensive Android smartphone, with a better camera, enhanced functionality, reasonable price, but a low-res display. It is the rival to the HTC Wildfire, albeit a more expensive one. Apparently, the price will be reconsidered when the model is out. A model for select markets, it won't be massed. It is one of the dying-out representatives of the classic phones; in effect, the company updated the A200 platform once and again, slightly changed the interface, added a few features, and obtained a copy of the Naite. For EUR 100, that is a reasonable solution, not very popular but quite interesting. It obviously won't be able to catch up to Nokia's candybars but will find its buyer as a variety model. The way to the market is long, by Q4, that is by October, a lot of more powerful candybars with comparable prices will have appeared. Yet I will repeat myself to point out that the model will generate its projected sales. It's a variety model and nobody really bets on it. 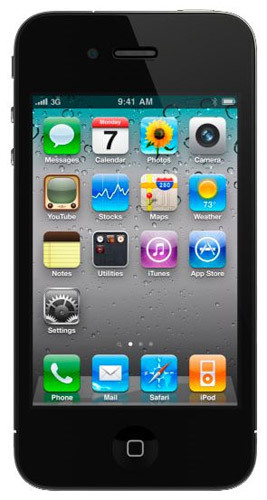 The sensor screen is low-end, 2.6-inch in the diagonal, with the QVGA (240x320 pixels) resolution. On the outside, the device resembles the X10 Mini, whereas on the inside, it mimics the interface of the senior model. In the end, it turns out quite nice for the general public, just like prescription drugs. Another common feature is replaceable panels; there is one extra in the bundle; the colors are raving bright. 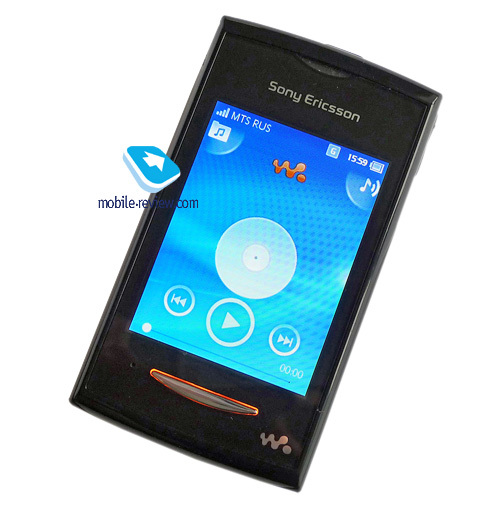 It is one of the first devices to sport a 3.5-mm audio jack with remote control support (and first for Sony Ericsson). Such slots are supposed to be installed on all future Walkman phones (the actual remote control needs to be purchased separately; the MH810 headset will do, albeit it costs a bit too expensive for the Yendo audience). The device is due in October at the price of EUR 100. The latter is reasonable but not best; yet the phone will press the Korean solutions due to its different looks and good build quality. Personally I find the model very appealing; the company should expect significant sales in the segment (significant for Sony Ericsson, not the market, which is more than enough for the company). This product becomes crucial for the company. Here we have removable panels, the hardware and interface similar to X10 Mini. The difference is the 3" screen of 320х480 resolution. 3.2 MP camera has no autofocus, which reveals the budget solution confirmed by the European price of €250. This model is positioned slightly below HTC Wildfire to be released this summer for around €230-240. Keeping in mind the difference in design and the time of release I think HTC Wildfire will sell better, but X8 volumes will be noticeable as well, especially for Sony Ericsson. We do not know about other low end Android smartphones to appear at the time, which will make the X8 price not the most attractive. This announcement is too early. Android 1.6 is offered now, but the manufacturer promises to get 2.1 by the time the phone goes on sale (the OS version is not as critical as the meager 128 MB of storage). If they don't make it, then 2.1 upgrade should be available at the beginning of 2011. That is fine for a low end model, but as the company plans to provide X10 with 2.1 upgrade at the same time, they will not be able to get version 3.0 and this will put the clock back on the flagship. For budget models like X8 it is not going to be crucial. This handset is attractive and will be popular despite the OS version and will sell much better than X10 Mini due to its size, which will retire X10 Mini from the scene. 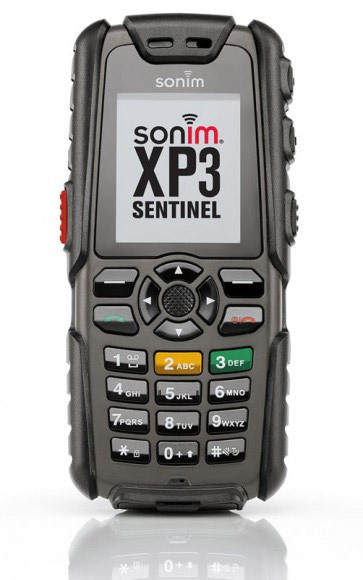 Sonim has announced the XP3 Sentinel ruggedized mobile phone that is able to endure water, dust, impact as well as work in high or low temperatures. The model is compliant with the MIL-810F and IP67 specifications; it can be immersed into water for a while or dropped from up to two meters. At that, the Sonim XP3 Sentinel is a fairly bulky and heavy device, which is hardly surprising. It can also send user location data to a special tracking service. The feature may come handy to those working or travelling in extreme environments. For example, when the red distress button gets pressed, the user location data will be sent out every three minutes, for 24 hours if the battery is full.